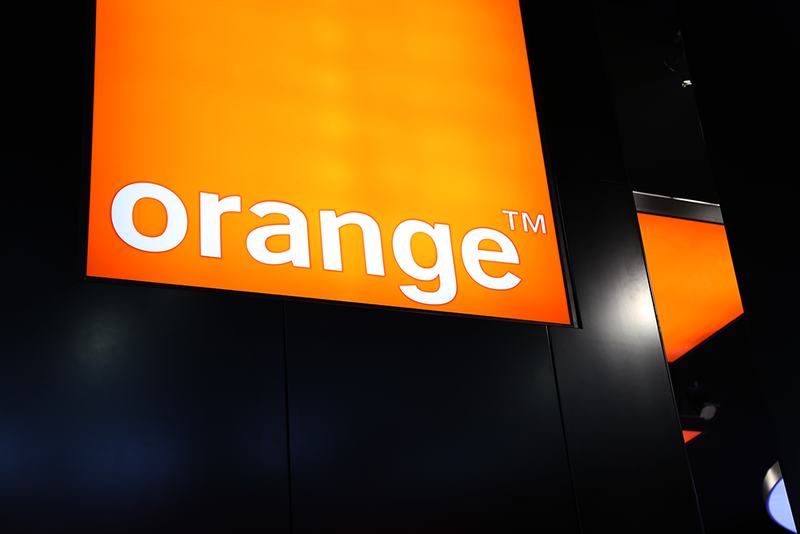 Orange and NTT have entered into a strategic R&D pact covering multiple technology domains including 5G, network transformation, AI, IoT, cloud services, etc. “As Europe embarks on its own 5G journey, our collaboration with NTT will be very precious. Both parties share a commitment to continuous learning and cultural exchange, which I fundamentally believe is essential in today’s global environment. The mutualisation of our respective research learnings will enable us to identify and develop better services for customers in our respective regions, and support the development of our multinational business customers internationally,” stated Stéphane Richard, chairman & CEO, Orange Group. NTT announced a prototype optical line terminal (OLT) featuring a dynamic bandwidth assignment (DBA) capability. The prototype successfully implements software changes to meet dynamic service requirements. This advance enables carriers to use a common access system for a diverse range of services including accommodation of base stations for 5G mobile systems. 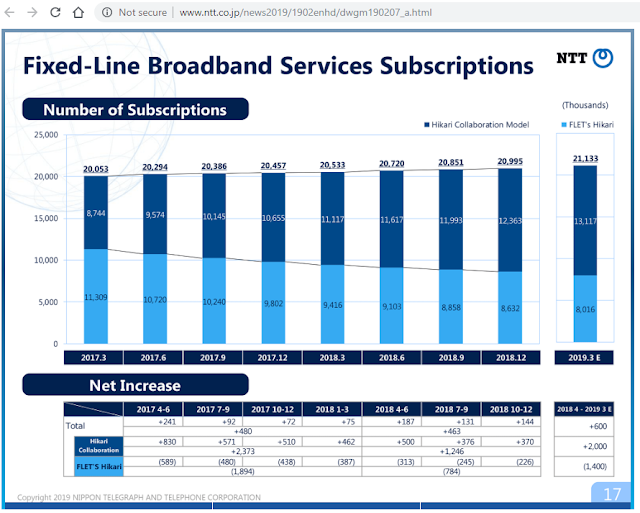 NTT said it is working with the Broadband Forum and the Open Networking Foundation to standardize APIs for use by partners. NTT announced its support for the Akraino open source project for edge computing the is management under The Linux Foundation. Akraino integrates open source software (OSS) into a whole platform optimized for edge computing. The Akraino Edge Stack is designed to meet the requirements of edge cloud infrastructure for enterprise edge, OTT edge, and carrier edge networks. It will support a broad range of Telco, Enterprise, and Industrial Edge uses, focused on creating blueprints with CI/CD (Continuous Integration/Continuous Delivery) that will consist of validated hardware and software configurations against a defined use and performance specifications. The Akraino Edge Stack project, which promises new levels of flexibility to scale edge cloud services quickly, has moved from formation into execution as a project hosted by The Linux Foundation. The project originated inside AT&T. New members of the Akraino project include Arm, AT&T, Dell EMC, Ericsson, Huawei, Intel, inwinSTACK, Juniper Networks, Nokia, Qualcomm, Radisys, Red Hat, and Wind River. Akraino Edge Stack seed code will be opened up to the community this week based on AT&T’s seed code, (the Network Cloud blueprint,) contributed to The Linux Foundation. The Linux Foundation will host a new Akraino project to create an open source software stack supporting high-availability cloud services optimized for edge computing systems and applications. To seed the project, AT&T is contributing code designed for carrier-scale edge computing applications running in virtual machines and containers. “Akraino, coupled with ONAP and OpenStack, will help to accelerate progress towards development of next-generation, network-based edge services, fueling a new ecosystem of applications for 5G and IoT,” said Mazin Gilbert, Vice President of Advanced Technology at AT&T Labs. 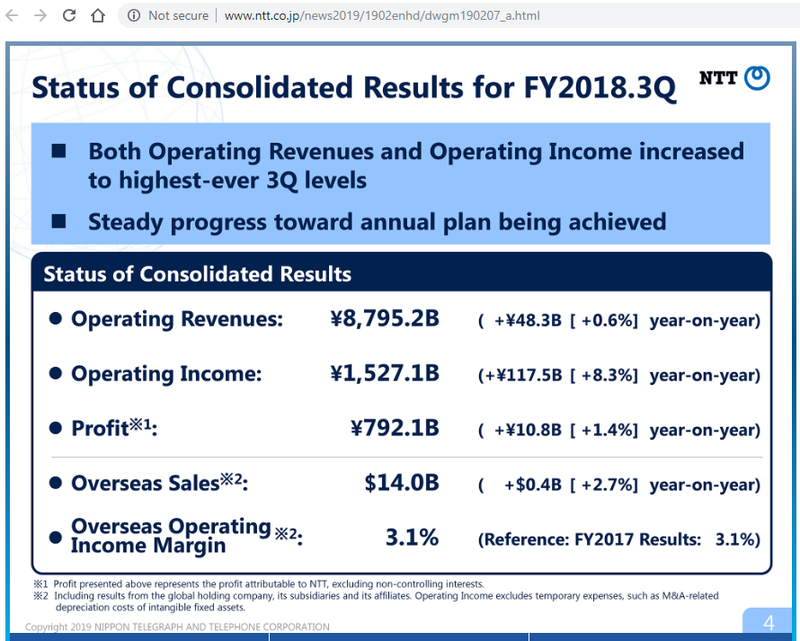 NTT DATA Services, the global technology services arm of the NTT Group, agreed to acquire Sierra Systems Group, Inc., the Canadian subsidiary of The Sierra-Cedar Group, Inc. Financial terms were not disclosed. Headquartered in Vancouver, British Columbia, Sierra Systems is a leading IT services and consulting firm offering a full range of IT consulting, systems integration, and application managed services across Canada. In addition to industry and geographical expansion, Sierra Systems will expand NTT DATA’s digital services capabilities and bolster its talent in core areas, such as Microsoft Dynamics, Oracle and ServiceNow. Through its global capabilities and strength in infrastructure, application and digital services, NTT DATA will bring a broader portfolio of services to Sierra Systems’ existing clients as well as other Canadian companies. 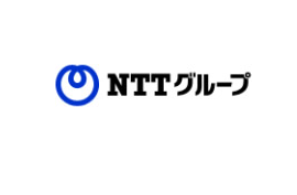 NTT establishes new global procurement division based in U.S.
Nippon Telegraph and Telephone (NTT) will establish a new company specializing in procurement for all of its group companies. The new company will engage in centralized price negotiations and the execution of comprehensive agreements with global vendors. It will be based the United States, where it will engage in centralized price negotiations and the execution of comprehensive agreements with global vendors for hardware, software, and services. 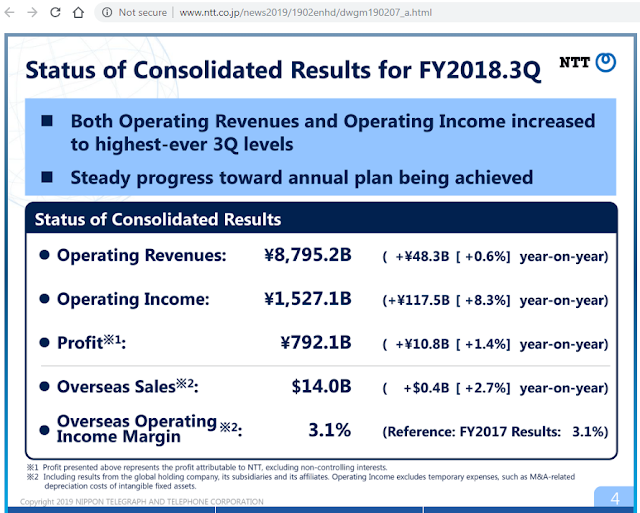 Objectives of the new company include improving the presence of the NTT Group in the global market, reducing the Group's total costs, and providing lower-priced, innovative services to clients. Mark E. La Neve has been named CEO of the new company. La Neve is currently an NTT DATA Services Senior Vice President. NTT and Tokyo Institute of Technology have jointly developed an ultra high-speed IC for wireless front-end that operates on a terahertz frequency band, and in the 300 GHz band they have achieved a record 100 Gbps wireless transmission data rate. The researchers implemented a mixer circuit that applied a unique proprietary high isolation design technology with an Indium phosphide high electron mobility transistor (InP-HEMT). NTT said this process enlarged the transmission bandwidth, which is a problem in the conventional 300 GHz band wireless front end. It also improved the signal-to-noise ratio (SNR). In addition, using this we realized a 300 GHz band wireless front-end module, and we achieved wireless transmission of 100 Gbps (gigabits per second). 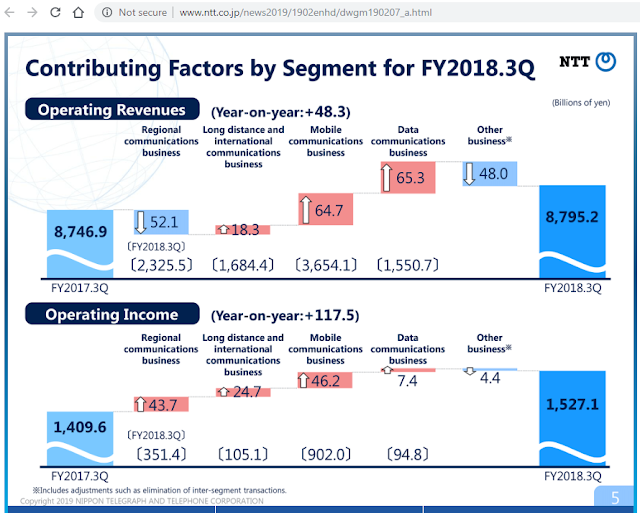 NTT said future work will extend to multiple carriers by making use of the wide frequency band of 300 GHz band, and using spatial multiplexing technology such as MIMO and OAM. The researchers hope to produce an ultra high-speed IC that enables wireless transmission of 400 Gbos. NTT successfully demonstrated the first use of Orbital Angular Momentum (OAM) multiplexing to achieve 100 Gbps wireless transmission. The laboratory tests combined OAM multiplexing with Multiple-Input Multiple-Output (MIMO) technology and carried the signals a distance of 10m. NTT said a key feature of OAM is that electromagnetic waves can be superposed and separated because phase rotation occurs on the vertical plane in the propagation direction. An electromagnetic wave with phase rotation cannot be received without a receiver having the same number of phase rotations at the time of transmission. NTT developed a transceiver operating in the 28 GHz band capable of OAM transmission. 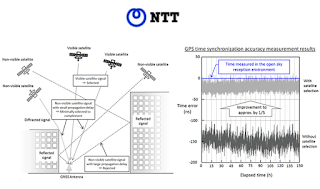 NTT also developed signal processing technology capable of handling 11 data signals simultaneously each at a bit rate of 7.2 to 10.8 Gbps, thereby achieving large-capacity wireless transmission at a total bit rate of 100 Gbps. NTT believes the technology holds promise for achieving large-capacity wireless transmission at a level about 100 times that of LTE and Wi-Fi and about 5 times that of 5G. NTT Communications (NTT Com) expanded its Tier-1 Global IP Network with a new Point-of-Presence (PoP) in Manchester, United Kingdom, at Equinix’s MA4 Manchester IBX data center, a strategically-located facility within the Manchester Science Park. Equinix’s MA4 data center enables direct interconnection to IX Manchester and the London Internet exchange, LINX, as well as a wide range of network service providers and major cloud service providers. 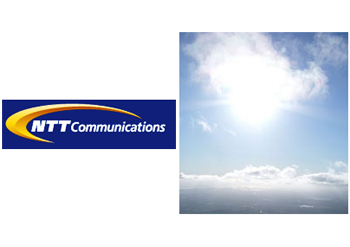 NTT Com customers at MA4 will be able to connect to the Global IP Network at numerous capacity levels including 100G ports. representing a breakthrough for laser processing technology. The innovation leverages NTT's photonic crystal fibers (PCF) and MHI's high power laser processing technology. NTT's photonic crystal fiber transmits light by using the confinement effect of air holes. PCF consists of silica glass and multiple air holes, and offers novel properties impossible with conventional optical fiber. Laser processing requires the transmission of light whose power is more than 10,000 times that of conventional telecommunication light. However, maximizing the optical power and transmission distance encounters the physical limit created by optical nonlinearity. Applications include a range of infrastructure products, including in transportation, manufacturing, and precision cutting. The achievement will be reported at the 89th lecture of Japan Laser Processing Society, which will be held at Suita Campus, Osaka University at 23-24 May 2018. Nippon Telegraph and Telephone (NTT) has demonstrated a video quality control technology based on Quality of Experience (QoE) in video streaming over mobile networks. 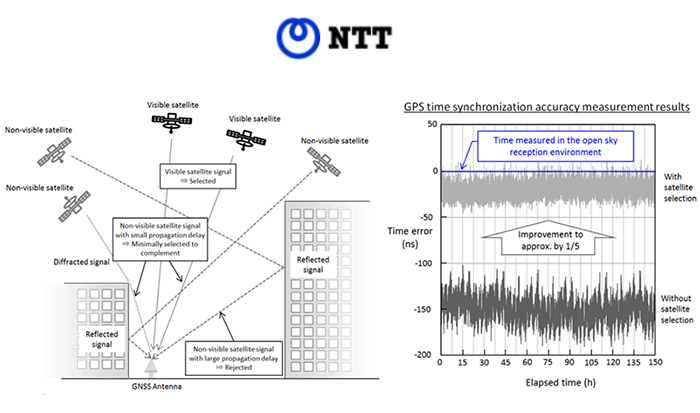 The QoE of video streaming to a mobile handset is evaluated by NTT's algorithm. Future communication quality is then predicted considering the user's environment. The algorithm optimally controls the bitrate in the midst of video streaming so as to achieve the preset QoE target. NTT said its technology for video streaming enables maximum QoE, while reducing traffic over the network. 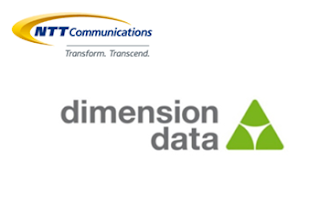 Dimension Data, which is also a business unit of the NTT Group and is based in Johannesburg, South Africa, focuses on services including network integration, security and data centers. In addition, NTT Com will expand its service portfolio by combining with Dimension Data’s private cloud and dedicated SAP platforms. “Many of our clients have complex hybrid IT challenges and need services that are end-to-end and scale as per their specific requirements. It is clear that we can better serve our clients and offer them solutions that address their evolving challenges by combining our strengths. We are now equipped to deliver a more compelling value proposition and greater level of innovation in hybrid IT to the market and our clients,” stated Jason Goodall, Dimension Data Group Chief Executive Officer. NTT has developed a real–time 4K high frame rate HEVC codec for the live transmission of high frame rate (HFR) video. The codec doubles the frame rate of the standard video frame rate (SFR), from 50/60p to 100/120p. NTT has demonstrated a 4K HFR HEVC encoder appliance and a 4K HFR HEVC decoder appliance, both of which are 1U size. The 4K HFR HEVC encoder appliance provides backward compatibility by supporting temporal–scalable encoding, meaning the output stream can be decoded by conventional SFR decoder to yield 4K SFR video. Moreover, our codec supports the MPEG Media Transport (MMT) protocol which enables hierarchical transmission. Two independent transmission routes can be used to transfer the base–layer data, which is used for decoding of 4K SFR video, and the enhancement–layer data, which is used together with base–layer data for decoding 4K HFR video. NTT DOCOMO Ventures has made an equity investment in Otonomo Technologies Ltd., a start-up based in Herzeliya, Israel, that is developing a marketplace for connected car data. Financial terms were not disclosed. Otonomo offers a centralized platform through which car-generated data parameters are packaged into data bundles and offered to service providers to create innovative new applications and services. The Otonomo platform addresses functionality such as accounting, billing, security, market management, privacy protection, regulatory compliance, data anonymization and normalization, API linkage and more. The company says it is engaged with dozens of auto manufacturers and Telematics Service Providers, and has an ecosystem comprising many dozens of partners. NTT Advanced Technology (NTT-AT) has developed a new cleaner for waterproof optical connectors (ODC connectors), which are used in outdoor applications such as Fiber to the Antenna (FTTA) deployments. The problem to be addressed is the contamination that builds over time on the end face of an optical connector, degrading reliability and performance. Optical cleaning tools can mitigate this issue. 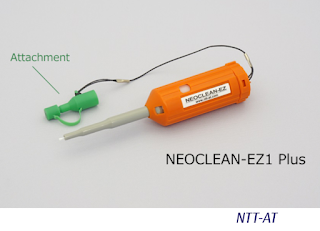 NTT-AT's new "NEOCLEAN series" uses specialized microfibers that won't scratch the end face of the optical connector. Cleaning is performed with a simple push operation. One unit can be used for more than 400 cleanings. NTT and Taiwan-based Chunghwa Telecom have successfully carried out a joint experiment to verify the service continuity and reliability of a virtual network control system. This experiment was enabled by the combination of NTT’s Multi-Service Fabric (MSF) and Chunghwa Telecom’s orchestrator (NAPA). The experiment was performed on a network of whitebox switches. Specifically, virtual network configuration and control technologies using white-box switches and white-box switch operating systems were verified by controlling MSF from NAPA. The Broadband Forum and NTT are undertaking a project to standardize the virtualization of PON networks to support the delivery of Time Critical Applications (TCAs), such as 5G fronthaul. The project, which was initiated by Forum member NTT, is called PON Abstraction Interface for TCAs. It looks at how SDN and NFV can be applied to Optical Line Terminals to disaggregate PON functions to functional modules with open interfaces. The first phase will define the disaggregation policy and functional requirements of interfaces to disaggregate PON functions which need time-critical processing, while the second phase will define the detailed specifications of the interfaces as Application Programming Interface (API) sets. From our 20-year archive of telecom news, we know that NTT DoCoMo announced the first 4G mobile network trial in 2003 at its R&D facilities in Yokosuka, Kanagawa Prefecture, Japan. Seven years later, full-scale LTE trials were underway across the Tokyo metropolitan region. On December 24, 2010, NTT DOCOMO officially launched its "Xi" LTE service across Japan, delivering peak theoretical speeds of 75 Mbps from some buildings and 37 Mbps peak speeds across much of its national network. In the first 18 months after the service launch, DOCOMO already had 5 million subscribers (Aug 2012). The service has been a clear customer favourite since then. 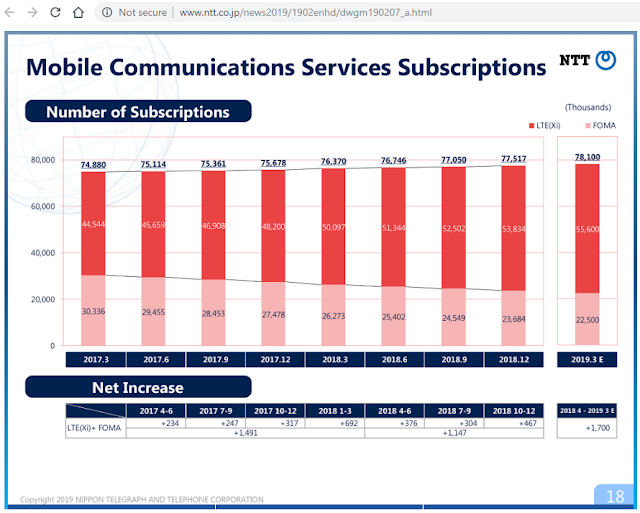 The carrier likewise was among the earliest mobile operators to introduce flat-rate data plans, to introduce VoLTE service, and to adopt LTE-Advanced technologies. Given Japan’s early-adopter status for technological innovations in general, and DOCOMO’s deep R&D programmes, the 5G wave quite likely will begin here. DOCOMO has previously stated its intention to roll out commercial 5G services across Japan ahead of the 2020 Olympic Games in Tokyo. This is likely to mean a nationwide rollout of 5G, or at least major metropolitan areas across Honshu, and not just a small collection of 5G base stations in a single neighbourhood, as some other carriers will be tempted to do just to claim to be “first” in rolling out the next generation technology. DOCOMO press machine is already ramping up with 5G announcements every month. 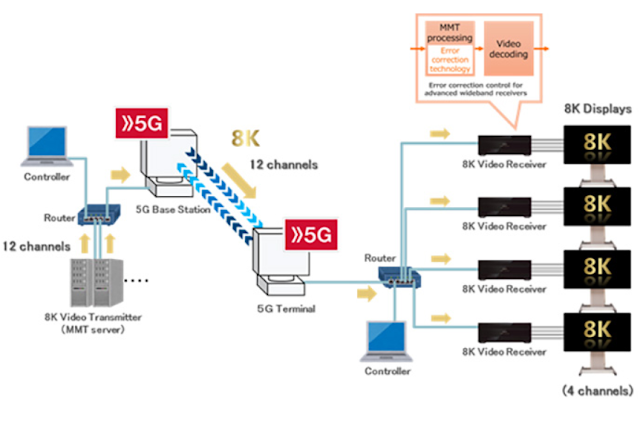 Earlier in November, DOCOMO and Sharp demonstrated a 12-channel MMT (MPEG Media Transport) transmission of 8K video over 5G. The trial, which was conducted on November 1 at its DOCOMO’s Yokosuka R&D, was supported by the Japan Broadcasters Association, a big backer of 8K video encoding and MMT encoding. Each of the 12 channels required 80 Mbps. The companies reported the successful transmission of stable multi-channel 8K video with a high bit rate to multiple devices with the use of error detection and correction technology. Japan is likely to be an early adopter of 8K consumer video screens. DOCOMO’s 5G network may be a viable platform for this application. 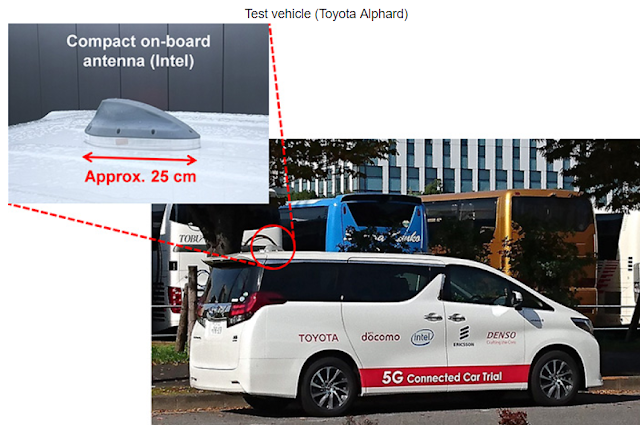 DOCOMO is working with Toyota, Ericsson, and Intel to test 5G to vehicles in motion. Testing earlier this month at Japan’s National Museum of Emerging Science and Innovation (Miraikan) in Tokyo demonstrated data speeds of up to 1 Gbps for 4K-resolution video communications with a vehicle travelling at 30 km/h. For this set-up, the moving vehicle was equipped with an Intel GOT 5G Automotive Platform terminal and a compact on-board antenna head designed for connected car trials. DOCOMO’s 5G trial environment provided coverage over the nearby Odaiba area using three Ericsson base stations and Cloud-RAN. The vehicle successfully streamed live 4K video at data speeds of up to 1 Gbps downlink/600 Mbps uplink with low latency. The NTT Group and Toyota continue to collaborate on 5G-connected cars. We will have to see how the technology performs at higher vehicular speeds and how the network performs when thousands of connected cars in the same area try to use the network simultaneously. A further refinement of 5G-to-the-vehicle is a project underway between DOCOMO and Sony. 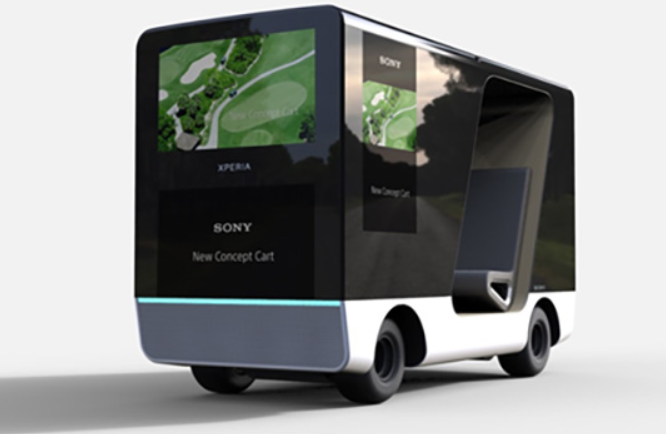 This concept involves a 4K digital signage system fitted to the outside of the New Concept Cart developed by Sony. The idea is for the vehicle to display a concept stream of advertising as it cruises down the street. Presumably, the content would include live streaming, otherwise, local storage could ensure high-quality video replay without requiring a 5G network. 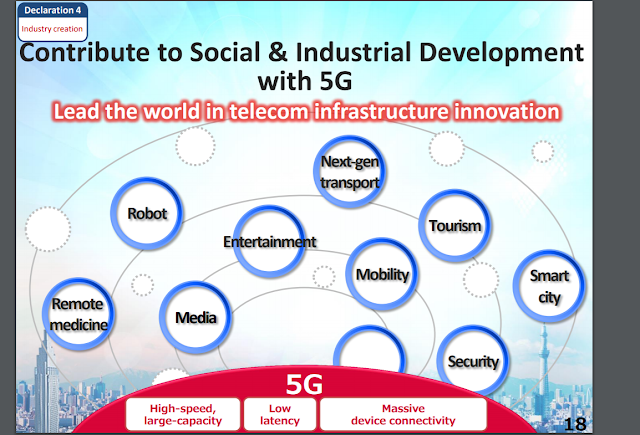 However, we can see that DOCOMO is experimenting with new concepts to leverage 5G. While we await a final 5G specification, some silicon vendors are rushing pre-commercial chipsets to market. DOCOMO is working with MediaTek on one such implementation. MediaTek’s 5G chipset claims to increase the spectral efficiency of mobile devices by up to 2.3 times compared to existing LTE technology. The device integrates DOCOMO's non-orthogonal multiple access (NOMA) radio access technology with MediaTek's multi-user interference cancellation (MUIC) technology, which is required to achieve NOMA. The idea with NOMA is to multiplex signals at a base-station transmitter to leverage the increased signal processing capacity of user devices and cancel interference among multiplexed user signals. MediaTek says its MUIC technology removes interference from other users when a base station transmits a signal to a number of users simultaneously. The silicon apparently is being developed for smartphones or other portable devices as an alternative to Qualcomm or Intel 5G modems. Through the creative application of virtual reality, artificial intelligence (AI) and IoT technologies, DOCOMO envisions that 5G will lead to new customer experiences, lifestyles and work styles. Since early last year, DOCOMO has been an active member of the 5G Open Trial Specification Alliance, which has pushed for early 5G trial specifications across multiple spectrum bands, including bands above and below 6 GHz. Other founders of this group include KT, SK Telecom and Verizon. This work led to the inclusion of the first 3GPP 5G NR specification to be included in the upcoming Release 15 - the global 5G standard that will make use of both sub-6 GHz and mmWave spectrum bands. Earlier this year, DOCOMO announced plans to conduct interoperability testing and over-the-air field trials in Japan based on the 5G New Radio (NR) specifications under development by 3GPP, specifically involving mid-band spectrum at 4.5 GHz and millimeter wave (mmWave) spectrum at 28 GHz. The trials were to be based on device prototype and base station solutions from Qualcomm Technologies and Ericsson, respectively. Working with Huawei, DOCOMO recently conducted an outdoor 5G trial for ultra-reliable low-latency communications (URLLC) using a 4.5 GHz system. The trial featured a stationary mobile terminal that received signals at distances of 0.8 to 1 km from the base station. During the trial, DOCOMO achieved an over-the-air latency of less than one millisecond together with a packet transmission success rate of more than 99.999%. Impressive performance results! In June, DOCOMO confirmed the addition of Nokia to it 5G ecosystem. Nokia participated in a demonstration of low-latency 4K video streaming during a 5G Tokyo Bay Summit 2017 earlier in May. More broadly, the collaboration is also known to include the Intel 5G Mobile Trial Platform, will commence with the key interoperability testing of multi-vendor technology using the 4.5 GHz frequency band. Ongoing tests of the Nokia 5G FIRST solution include the Nokia AirScale base station transmitting over a 5G radio interface to the Intel 5G Mobile Trial Platform. The companies plan to test end-to-end applications over the air between the base station and the device on the 4.5 GHz frequency band, which is a candidate band for 5G services in Japan. The collaboration with NTT DOCOMO will specifically involve Nokia's AirScale Active Antenna equipped with massive MIMO technology and digital beamforming, designed to provide enhanced cell range, maximised performance at the cell edge and increased spectral efficiency. The 5G FIRST platform, designed to support multi-vendor end user devices for 5G, incorporates the Nokia AirScale base station and AirFrame data centre technology. With Samsung Electronics Co., DOCOMO has demonstrated a 5G data speed of more than 2.5Gbps with a mobile device that was in a vehicle travelling 150km/h, sufficiently fast for connectivity onboard most trains. This trial took place in November 2016 at the Fuji Speedway in Shizuoka Prefecture, Japan. Transmissions were conducted using the 28GHz high-frequency band. The development work also featured massive multiple-input multiple-output (MIMO) technologies that incorporate beamforming. Cisco is supplying its Network Services Orchestrator to help DOCOMO carry out network device provisioning and transform its service lifecycle. DOCOMO first deployed Cisco’s network functions virtualization (NFV) system in 2016. A few months back, NTT DOCOMO Ventures announced an equity investment in Petametrics, a San Francisco start-up that provides “LiftIgniter”, a personalization API to deliver a wholly unique experience to every individual user impression. LiftIgniter was founded by Indraneel Mukherjee, a former Google researcher, and a team of machine learning and math PhDs., The personalization engine is powering various NTT DOCOMO e-commerce services. The idea here is to capture data points from consumers and then perform deep analysis to uncover macro trends. With LiftIgniter, the machine learning-based personalization algorithms run 24/7, learning and reacting to each impression in real-time to predict and serve up tailored content for every user touchpoint. The company says its platform is agnostic across all content, languages and devices. While not necessarily specific to 5G, the number of endpoints envisioned by these developers appears to be of high magnitude, meaning that is could be a very potent use case for 5G-enabled IoT. Nippon Telegraph and Telephone East Corporation has adopted a full-stack, ETSI-compliant NFV solution validated and supported by Cisco for its new Maruraku Office service, which is aimed at small and medium enterprises and which consolidates Internet lines, firewalls, routers, storage and business phones in the cloud. Specifically, NTT East deployed Cisco Network Services Orchestrator (NSO), Cisco Elastic Services Controller (ESC), and the Cisco Network Functions Virtualization Infrastructure (NFVI) solution, including Cisco Virtual Topology System (VTS) and Cisco Virtualized Infrastructure Manager (VIM).